As Montreal heads into the second half of 2010, it’s clear that the city must be doing something right. For the past seven months it has consistently exhibited stronger year-over-year job growth than all but two of the 10 largest metro areas in the country. Job growth has been particularly strong in wholesale and retail trade (+35,200), followed by finance insurance and real estate (+25,800); health services (+17,900); construction (+17,200); accommodation and food services (+10,600); and professional and technical services (+10,200). This strong pattern of employment growth, accompanied by low interest rates and sustained net migration, has helped to underpin housing demand in Montreal. According to the Greater Montreal Real Estate Board, sales of existing homes are up by 10% year to date, and median single family house prices ($258,000) are up by 5% year over year. Demand for new housing is also strong, reflected by a 32% year-to-date increase in housing starts and a 48% year-to-date rise in residential building permits over the first six months of the year. As is the case across much of the country, the combination of dissipating pent-up demand and deteriorating affordability is causing housing demand in Montreal to cool. But the strong year-to-date increase in residential permits should sustain new residential construction into 2011. While the pace of residential construction appears to be down-shifting, the outlook for both industrial and commercial construction is quite strong. According to CB Richard Ellis, a gradual increase in manufacturing demand has caused the industrial availability rates in the Greater Montreal Area (GMA) to decline by 40 per cent since the end of 2009. Reflecting this stronger pace of manufacturing activity, the value of industrial building permits has picked up since the beginning of the year and is now +73% year to date in June. Also, despite relatively high office vacancy rates in the GMA, it appears that stronger retail and office-based employment growth is contributing to a turnaround in commercial construction, reflected by an 8% year-to-date increase in commercial building permits. 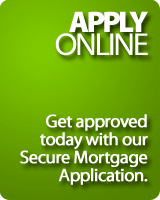 Imortagagecanada.ca offers you the best mortgage services in Canada. Visit the site to find the Canadian mortgage expert brokers for mortgage advices and strategies.